Risks that threaten modern societies form an intricately interconnected network, so it is important to understand how risk activations in distinct domains influence each other. We study the global risks network defined by World Economic Forum experts. Risks are modeled as Cascading Alternating Renewal Processes (CARP) with variable intensities driven by hidden values of exogenous and endogenous failure probabilities. We use maximum likelihood evaluation to find the optimal model parameters based on the expert assessments and historical status of each risk. This approach enables us to analyze risks that are particularly difficult to quantify, such as geo-political or social risks in addition to more quantitative risks such as economic, technological and natural. In the talk, we describe model dynamics and discuss how to use the model to provide quantitative means for measuring interdependence and materialization of risks in the network. We also talk about limits of the predictability of the system parameters from historical data and model ability to recover hidden variable. Then, we describe how the network evolved recently by comparing steady state which would be reached if the risks were left unabated at different time points. Finally, we also analyze the model resilience and optimal control. Our findings elucidate the identity of risks most detrimental to system stability at various points in time. The model provides quantitative means for measuring the adverse effects of risk interdependence and the materialization of risks in the global risk network. 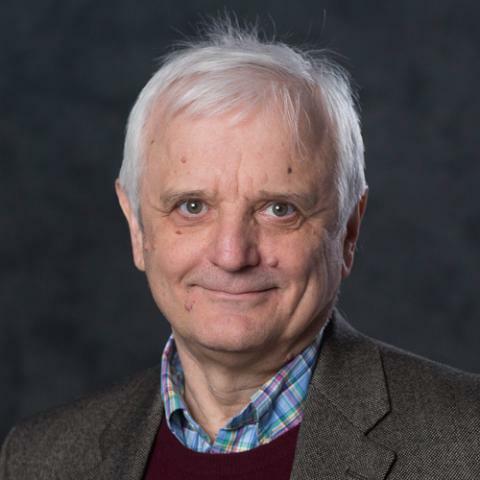 Dr. Boleslaw K. Szymanski is the Claire and Roland Schmitt Distinguished Professor and the Director of the ARL Social and Cognitive Networks Academic Research Center at the Rensselaer Polytechnic Institute and the Rensselaer Network Science and Technology (NeST) Center. He received his Ph.D. in Computer Science from Institute of Informatics of National Academy of Science in Warsaw, Poland, in 1976. He published over 300 scientific articles, is a foreign member of the National Academy of Science in Poland and an IEEE Fellow and was a National Lecturer for the ACM. In 2009, he received the Wilkes Medal of British Computer Society and in 2003, William H. Wiley 1866 Distinguished Faculty Award from RPI. His current research interests focus on computer networks and technology-based social networks.